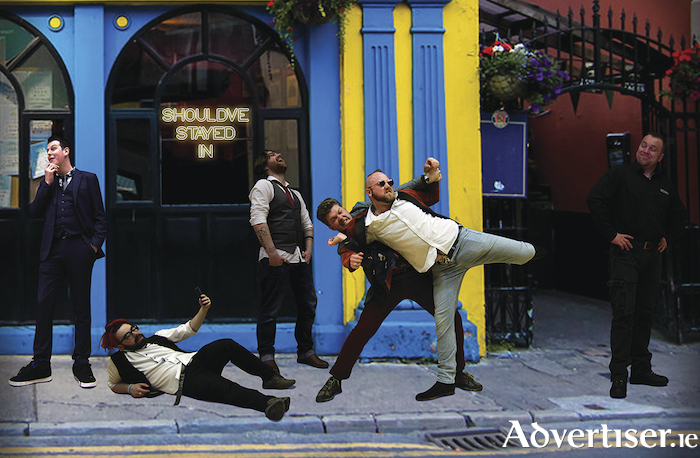 GALWAY BAND Dead Horse Jive will launch their new EP, Should’ve Stayed In, with a gig in the upstairs bar of the Róisín Dubh, tomorrow evening from 9pm. The four-track EP features two new rockers - ‘Craic Train’ and ‘Four Karpackie’; a new recording of audience favourite ‘Snuffhead’; and a jazz-lounge version of last year’s single ‘Trigger of Love’. Dead Horse Jive have won acclaim for their fun-filled, irreverent, live shows, and their " insatiable energy and musical talent" (Lazer Guided Reporter, 2017 ). Should’ve Stayed In will be available on Spotify, iTunes, and Google Play from tomorrow. Fans can pre-save the album on Spotify by going to http://bit.ly/dhjpresave. Support at the Róisín Dubh gig is from Wayne Wilder and Mercury Youth. Admission is €5.